You see Brooks, you see a polished, accomplished man who looks as though he’s breezed through life. That wouldn’t be true, though, as he explains in this episode we recorded in the studio after he cut a commercial for one of my sponsors, Movietyme Video Productions. 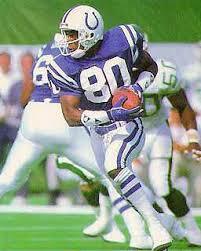 Brooks was a classic overachiever with the Colts. A fourth-round draft pick, he lacked the speed of most elite receivers, but it seemed he made no mental mistakes and caught every ball that came his way. 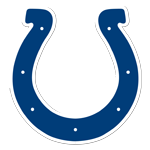 He led them in receiving yards in five of his seven seasons, and although he had to play the final three seasons of his 11-year career in Buffalo (two) and Washington (one), he became the first Indianapolis Colt to be recognized in the team’s Ring of Honor. He worked in the Colts front office for awhile, was let go, and then got a law degree. I can tell you from personal experience he’s a good golfer, too. He works on his game with the same discipline that allowed him to succeed in the NFL.